Since 2011, more and more people have been discovering Onnit’s nootropic stack Alpha Brain. 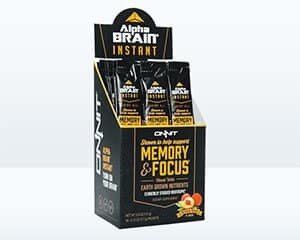 Harnessing the power of 11 natural ingredients that work synergistically to improve focus, memory, and processing speed without the use of stimulants, Alpha Brain is now the go-to cognitive enhancer for thousands of people worldwide. Two clinical trials and five years of experience have shown that Alpha Brain is not only effective but also far safer than many other products that people use for the same purposes. Unlike stimulants such as caffeine that can have undesirable or harmful side effects, Alpha Brain supports better cognitive function by directly affecting the levels of neurotransmitters in the brain. But there’s always been one downside – it takes a couple of hours to kick in. Or should we say, there used to be a downside. With Alpha Brain Instant, you can expect to start feeling the effects of Alpha Brain far faster than you did with the capsules. The reason for this is simple – the nutrients are delivered straight to your stomach and pass quickly into your intestine for absorption, rather than having to be released from the capsule before they can be utilised by the body. What this means for you is all the same benefits of the original Alpha Brain – but in the form of a fast-acting drink mix. And for once, the flavours are a little more interesting than your standard chocolate and vanilla. Available in natural spice or peach flavour, the drinks have been garnering plenty of positive reviews. If all this is sounding pretty appealing, now is the time to act. To promote their new product, Onnit are offering a special deal for a limited time. When you buy a 30-day supply of Alpha Brain Instant, you will receive not only a 10% discount, but also a free Brain Health Protocol E-Book that will fill you in on all the ways you can promote brain health and function not just in the short term, but for good. Click here to find out more about how Alpha Brain works. Or if you’re ready to take advantage of Onnit’s great new offer, click on the link below. I have an serious traumatic acquired brain injury from a car accident in 1997. My memory short term memory is bad and long term memory isn’t much better. I get fatigued quicker and my speech is slower. 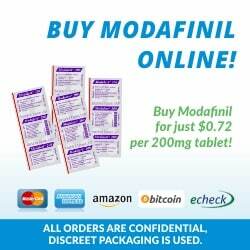 Can you tell me if Alpha Brain Instant will improve the plasticity of my brain that wasn’t damaged. Improve my way of life and depression?